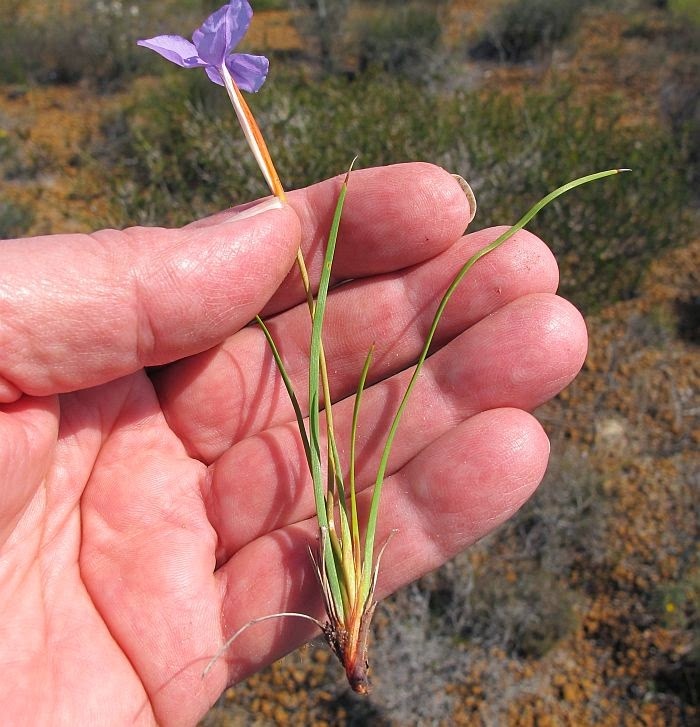 Patersonia juncea can reproduce from seed or from an underground rhizome and is commonly found in near coastal environments with moist, non-calcareous soils. 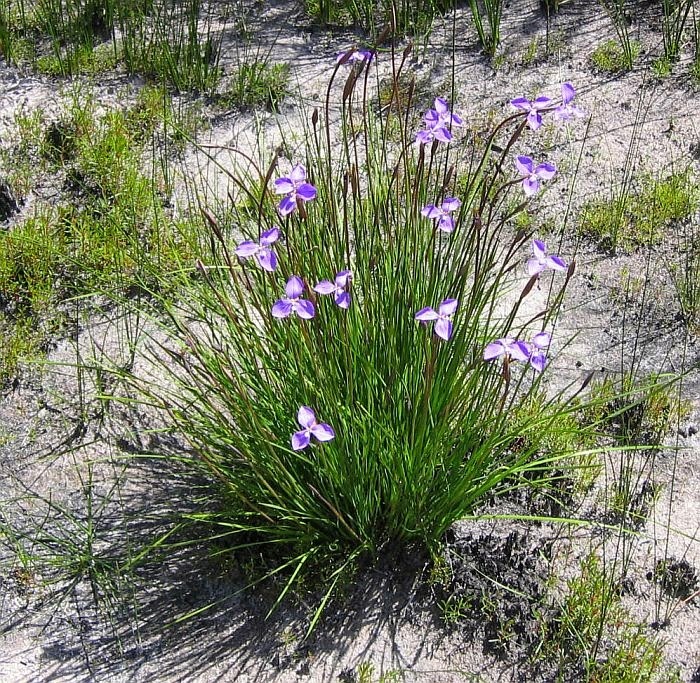 It is often encountered in compact colonies around freshwater swamps and seepage zones, although in these conditions taller vegetation can eventually smoother them, consequently they will generate a good display for a few years after fire or soil disturbance before reducing to smaller numbers. 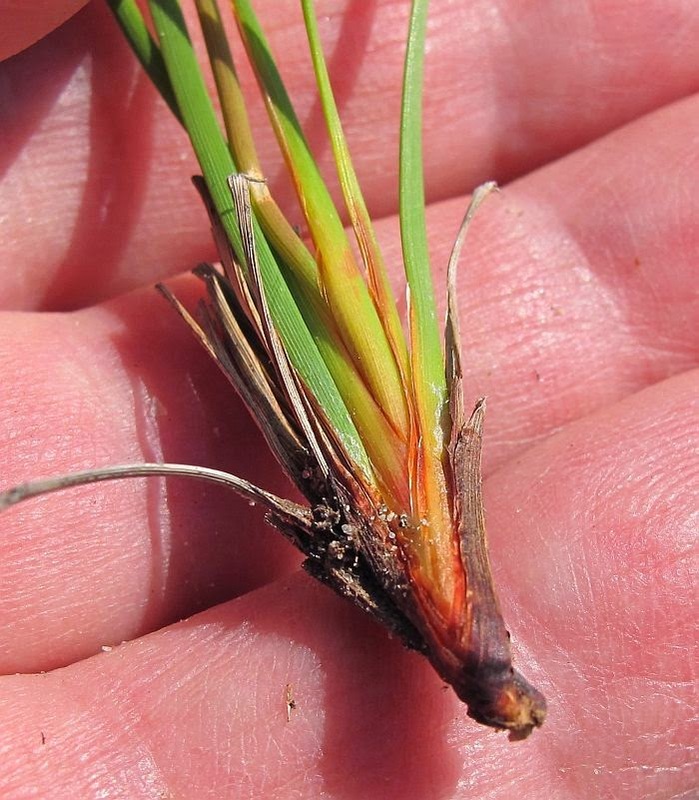 The slender sedge-like foliage and taller flowering stems seldom exceed 30 cm (12”) in height and when not in flower or carrying seed, will blend into the array of miscellaneous sedges commonly found in these moist environments. 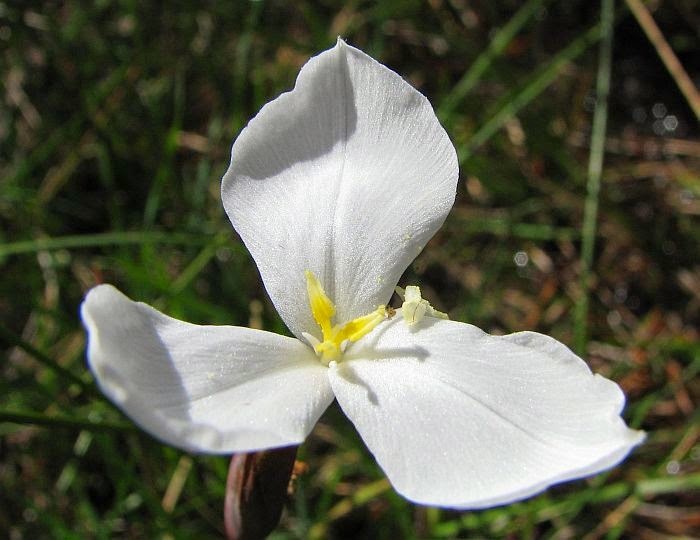 However when in bloom with their fresh three petalled flowers to 3 cm (over 1”) diameter, they can be very eye-catching. 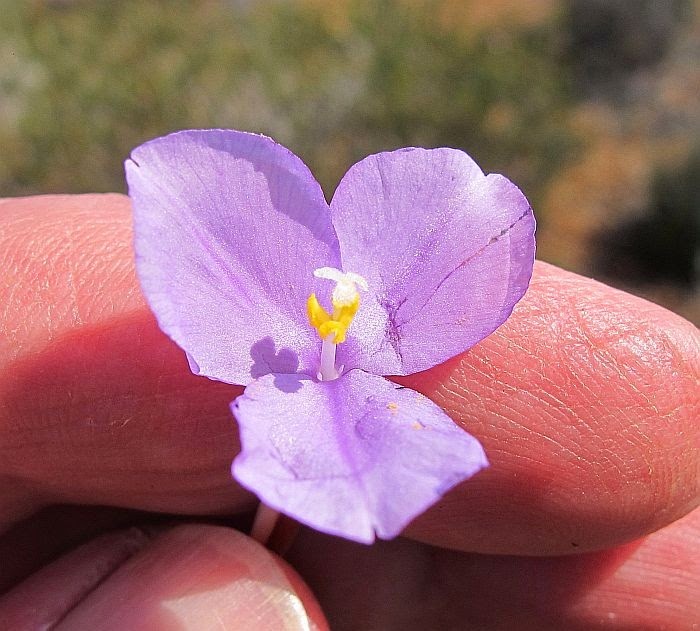 Patersonia juncea is endemic to WA and occurs SW of a line from Carnamah (SE of Geraldton) to Israelite Bay (East of Esperance). 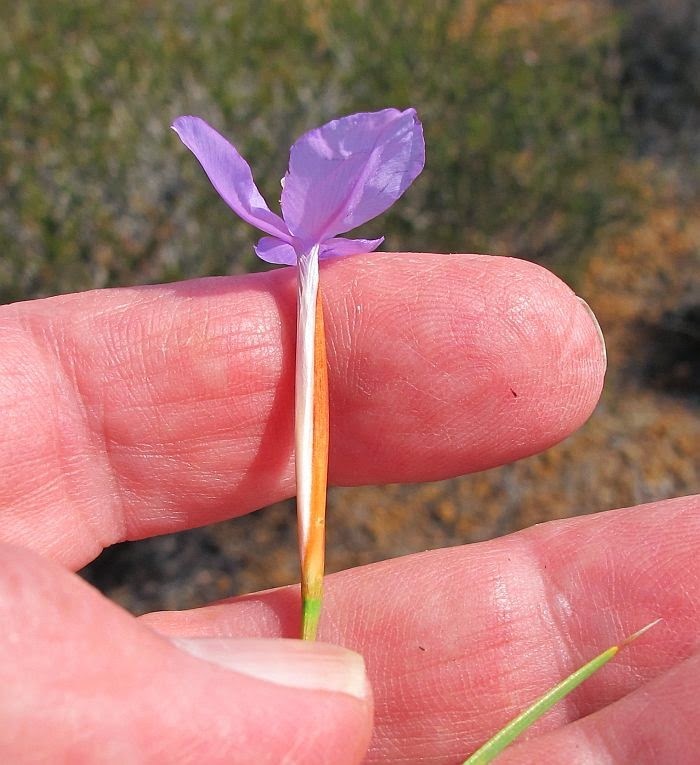 In parts of that area there is another very similar looking Patersonia, but far less common called Patersonia maxwellii, which has leaf margins minutely covered with incurved dark hairs (P. juncea is without hairs). 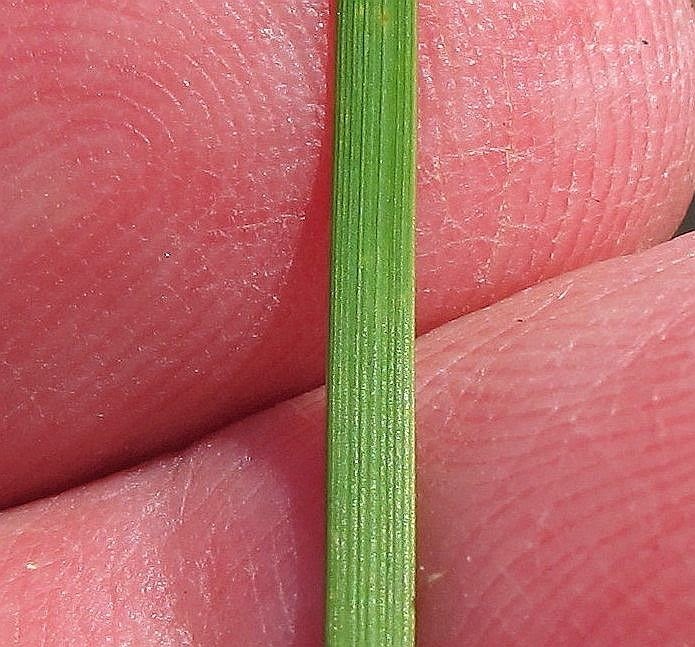 Another differing feature is the opaque edge of the spathe, which with P. maxwellii is less than 1 mm wide, whereas with P. juncea it is 2-3 mm (1/10”) wide. 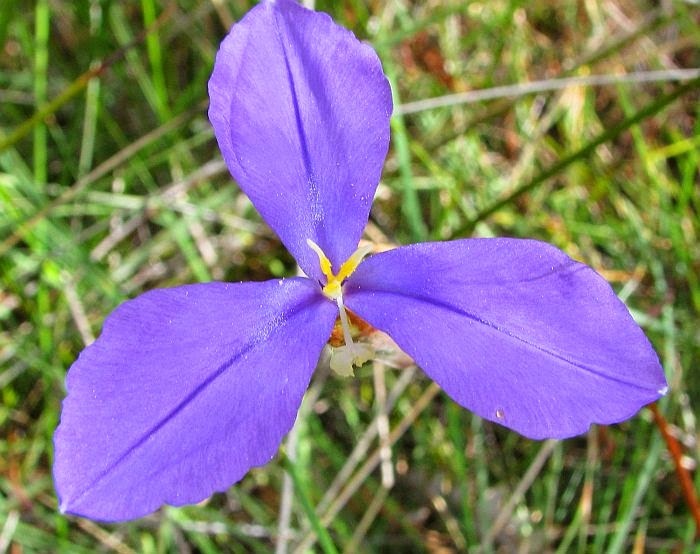 Patersonia is part of the Iridaceae or Iris family.